Visit the world’s smallest town. Found in Istria, the town of Hum only has 27 residents. For one of the best examples of early Croatian script, this bucolic Medieval town is an imperative stop on the Glagolitic Trail. 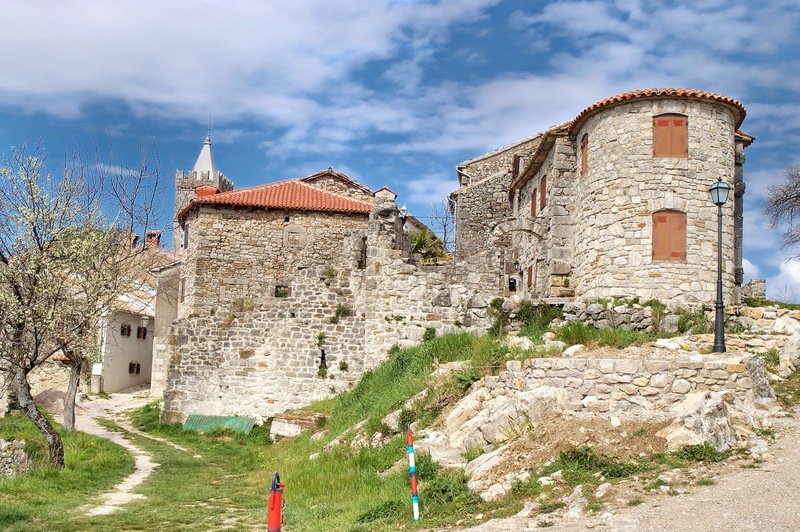 The Celtic symbols, letters, and texts from the late 12th century in the town of Hum are the oldest in Croatia. The town still shows its Medieval roots through stone fortification walls, a bell tower, and a church. For all practical purposes, it still has the feel of an ancient settlement since it is set off of the more well-traveled routes. Known as the smallest town in the world, with a population fluctuating somewhere between 15 and 24 full time residents, it is truly a step back in time. It is also probably one of the few places in the world where you can buy your initials in Glagolitic script on ceramic tiles. The town's other claim to fame is Humska Bisk, a brandy made from a 2,000 year-old recipe, said to provide a Celtic cure for some of our most modern ailments. Served up at the only restaurant in town, it is a true travel treasure. Hum is a tiny town in central Istria with just 27 residents (2016 census). See Best of Istria Google Map for additional recommendations of places to see and things to do in Hum.